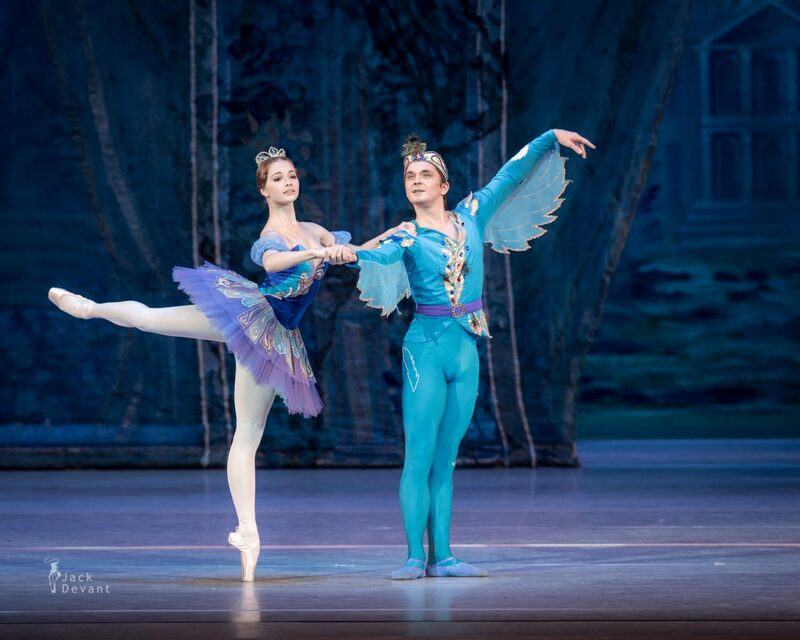 Andrey Pisarev (Rus Андрей Писарев) as Blue Bird and Zhannna Gubanova (Rus Жанна Губанова) as Princess Florina. 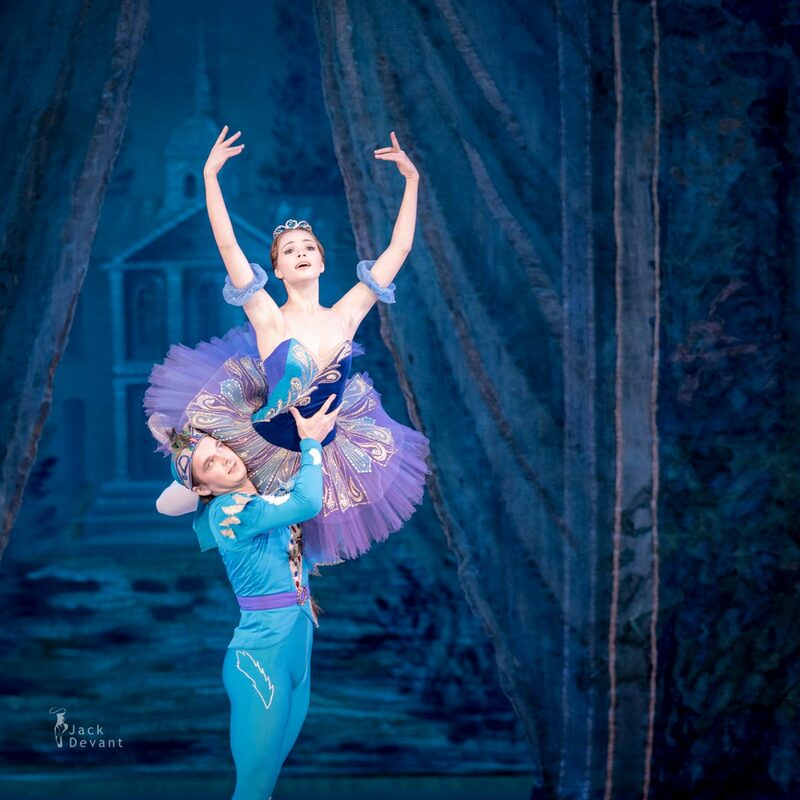 The Sleeping Beauty, music by Pyotr Tchaikovsky, choreography by Marius Petipa and Andrey Petrov. Shot in the State Kremlin Palace on 27.9.2016, Moscow. Zhanna Gubanova (Rus Жанна Губанова) is currently soloist with Kremlin Ballet. 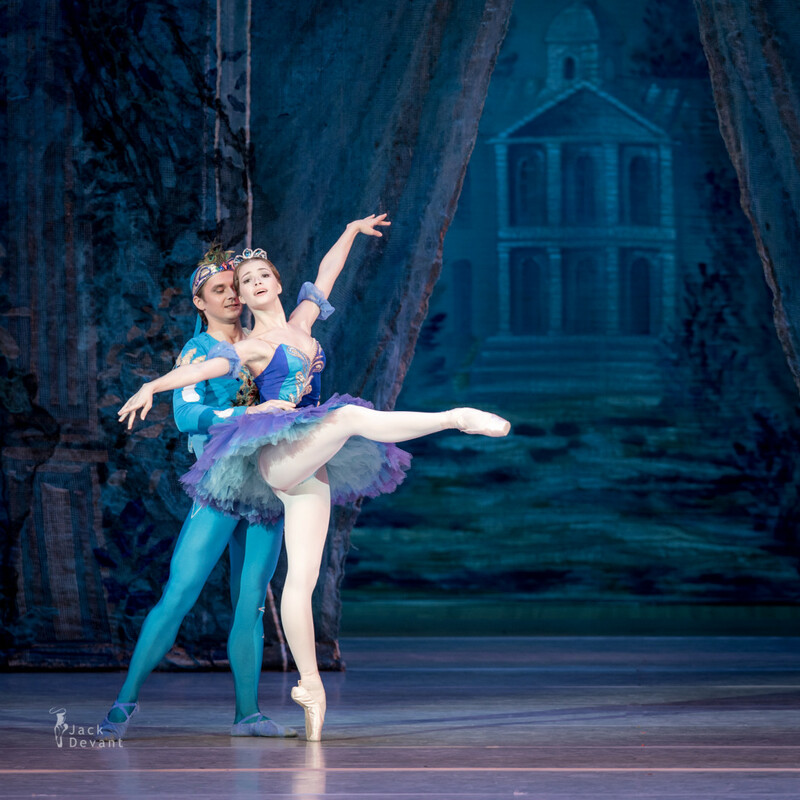 She was born 1996 in Simferopol, Ukraine; 2006 – 2014 studied in Kiev State Ballet School. 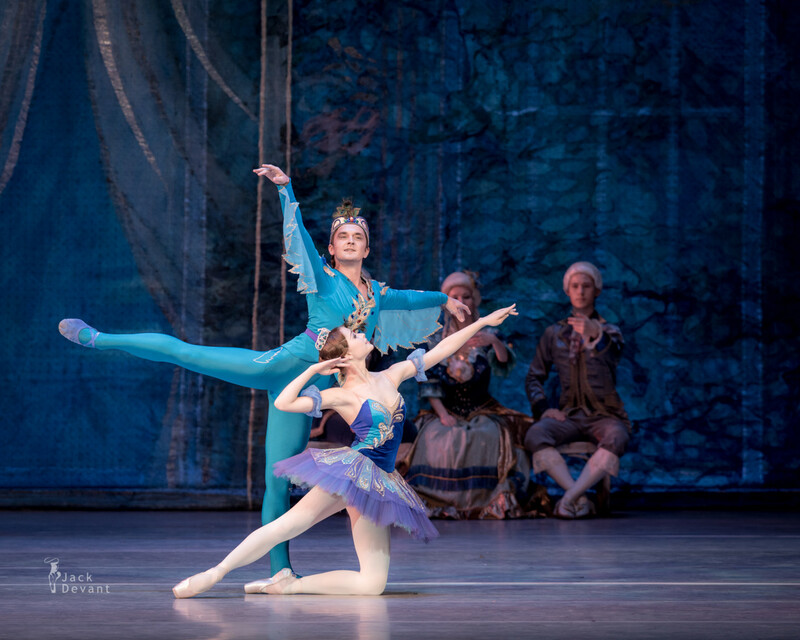 Starting from Nov 2014, Zhanna is member of Kremlin Ballet. Andrey Pisarev (Rus Андрей Писарев) Born in Ukraine,in Donetsk on April 1 1986. 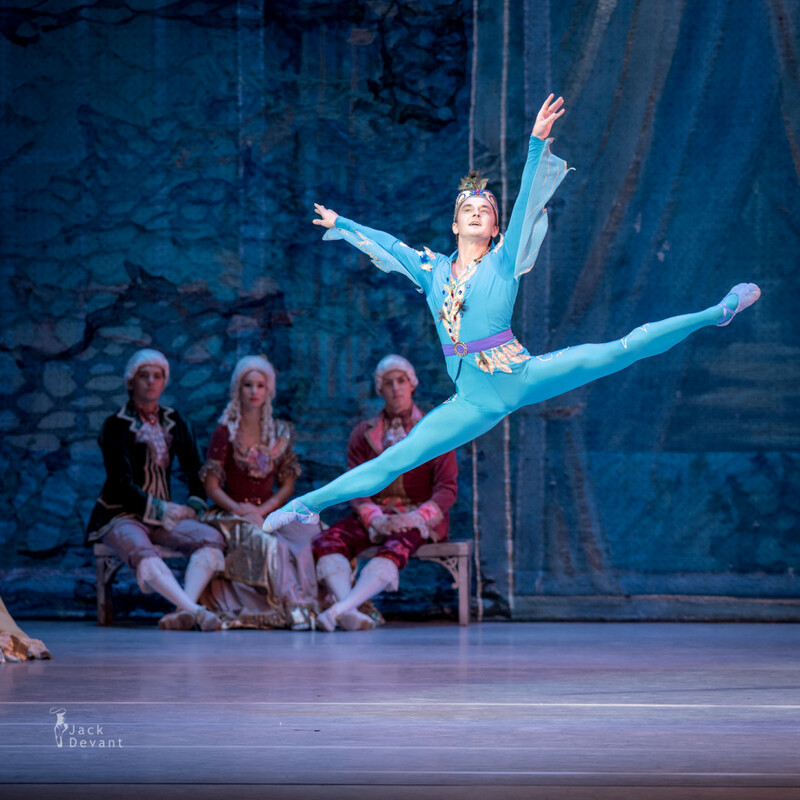 In 1995 began his ballet training at the Vadim Pisarev Choreographic School in Donetsk. 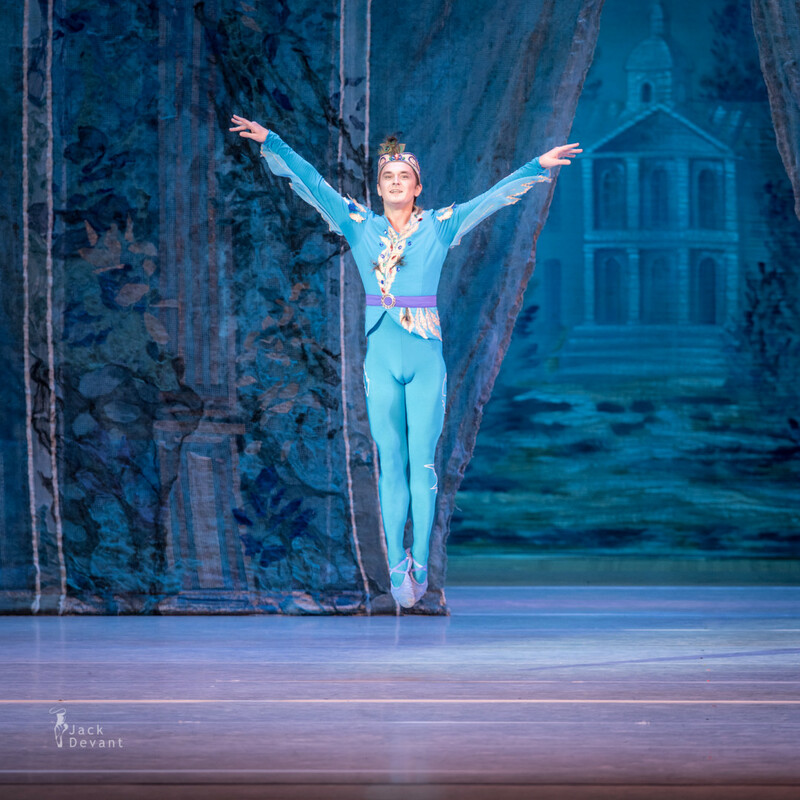 Finished with honors in 2002 and since 2002-2004 year raising the level of skill in Germany,Stuttgart from famous throughout the world ballet master Pestov P.A. 2004-2008 year started to work in Donetsk Academic Theatre of Opera and Ballet as a leading soloist. 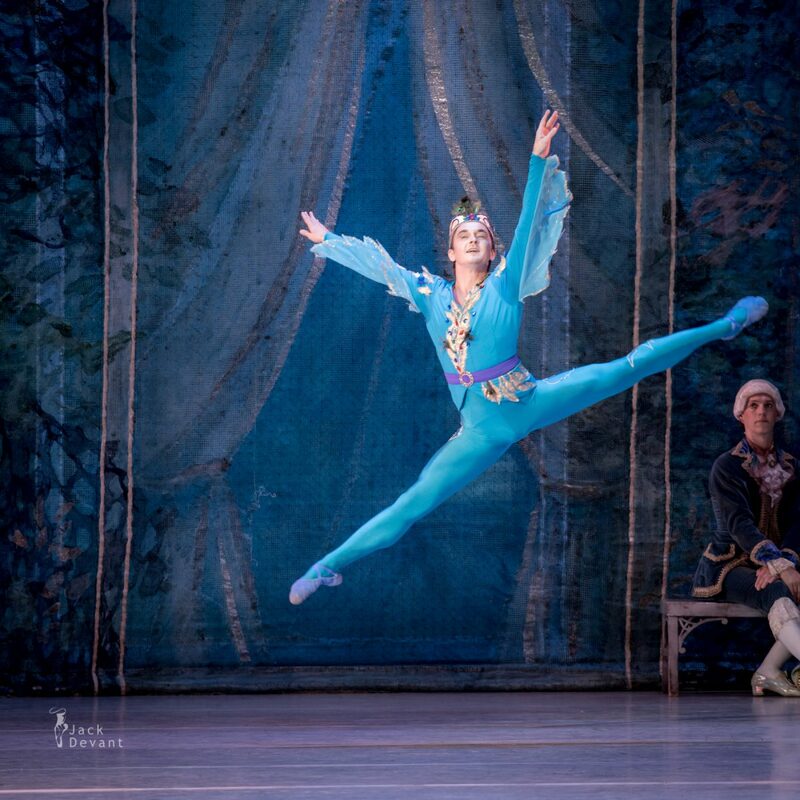 Since 2008-2014 worked at the National Opera of Ukraine in Kiev as a leading ballet soloist.Since 2014 and present days working at Kremlin Ballet in Moscow. 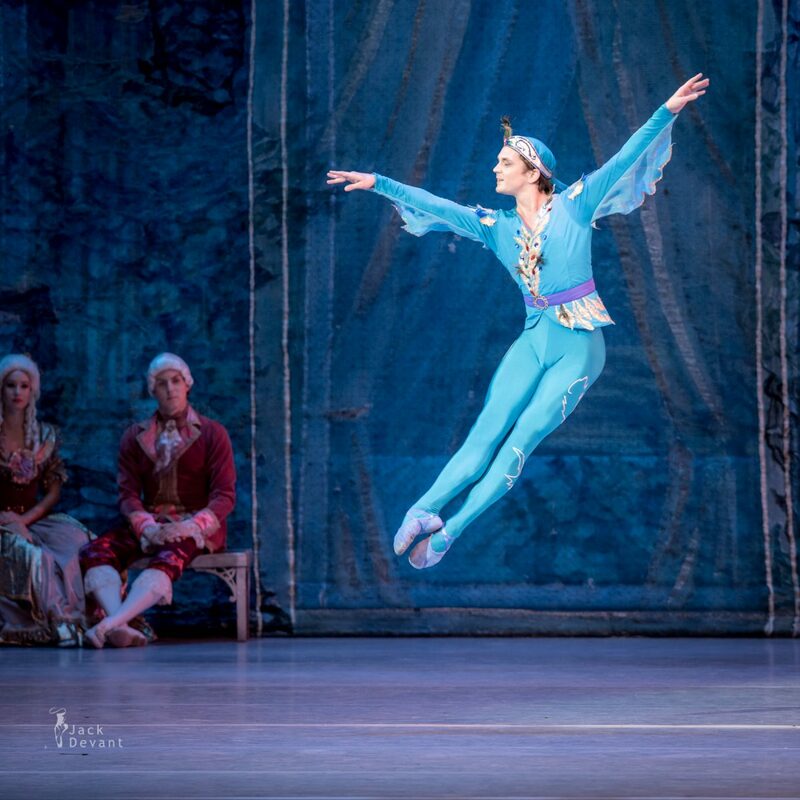 He performed leading roles in the following performances: “Le Bayadere”,”Don Quixote”,”Paquita”,”La Sylphide”,”Nutcracker”,”Sleeping Beauty”,”Swan Lake”,”Corsaire”,”Le Spectre de la Rose”,”Spartak”,”Sheherazade” and etc. Prizes and awards 2000 March-April – Estonia,Tallinn. International competition of ballet dancers “Fouetté” – 2nd prize; 2001 January – Ukraine,Kiev. International Ballet Competition “Youth Ballet” – 1st prize; 2002 May – USA,New York. “Youth American Grand Prix” – the 3rd prize; 2004 January – Switzerland,Lausanne. “Prix de Lausanne” – 2nd prize; 2004 April – USA,New York. “Youth American Grand Prix” – 1st prize; 2006 September – Russia,Sochi. Y.Grigorovich “Young Ballet of the World” – 1st prize; 2007 May – Korea,Seoul. Korean International Ballet Competition – 1st prize; 2007 July – USA,Orlando. “Orlando International Ballet Competition – 3rd prize; 2008 March – Hungary,Budapest. “R.Nureev International Ballet Competition” – 1st prize; 2008 April – Russia,Perm. International Ballet Competition “Arabesque” – 2nd prize,the prize of M.Baryshnikov; 2009 June – Russia,Moscow. “The 11th International Ballet Competition in Moscow in the name of Marina Semenova” – 1st prize; 2011 March – Ukraine,Donetsk. “The 7th International Ballet Competition in the name of Serge Lifar” – Grand Prix; 2011 July – Korea,Seoul. “4th Korean International Ballet Competition” – a Special promotional prize of the jury;Special jury prize for the nobility; 2012 June – Turkey,Istanbul. 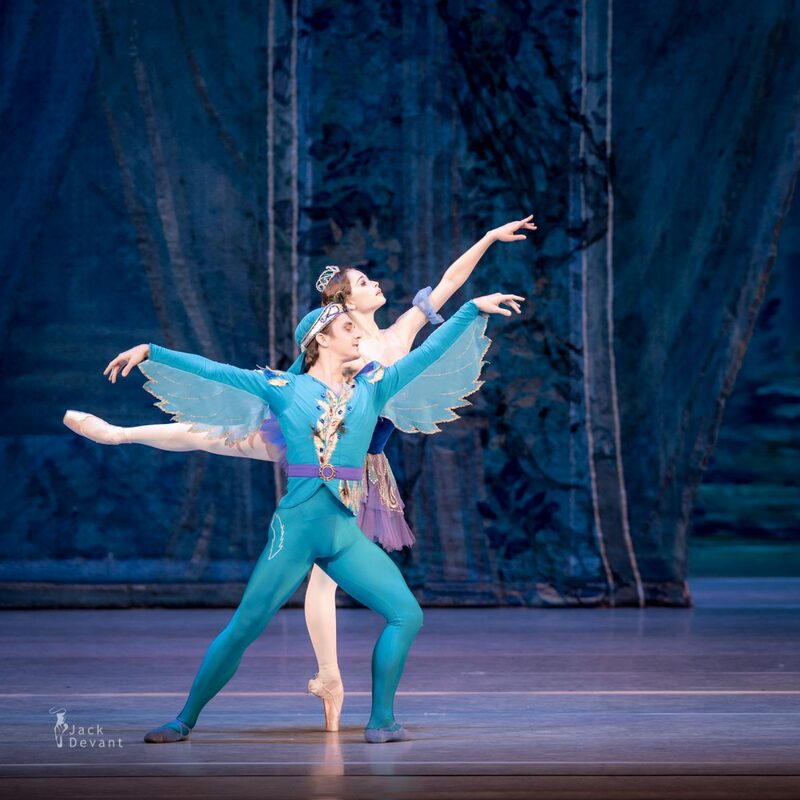 Istanbul International Ballet Competition – 1st prize. The Sleeping Beauty act III. The royal wedding is underway. Guests include the Jewel Fairies: Diamond, Gold, Silver and Sapphire, the Lilac Fairy and even Carabosse. Fairytale characters are in attendance, including Puss in Boots and The White Cat, Princess Florine and the Bluebird, Little Red Riding Hood and the Wolf, Cinderella and Prince Charming, Beauty and the Beast, and others. Aurora and Désiré perform a grand Pas de Deux, and the entire ensemble dances a mazurka. The prince and princess are married, with the Lilac Fairy blessing the union.